I’m starting a new series to teach you jamaican patwa, jamaican slang or however you want to call it. 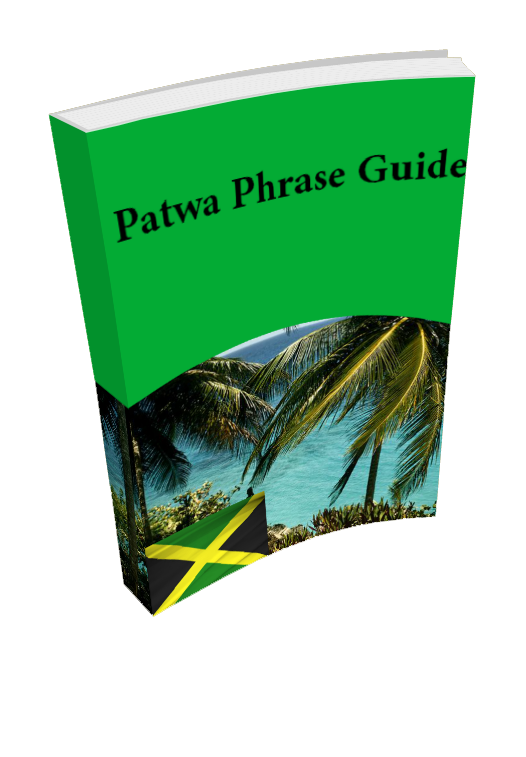 There are about 900 popular english phrases and i’ve gone ahead and translated them to Jamaican Patwa. Stay tuned for more and be sure to share and comment if you liked this post or found it useful. Am I pronouncing it correctly? Mi she it right? And you? – awhh yu? Anything else? – anyting else? Are there any concerts? – nuh cancert deh bout? Are they coming this evening? – y’ah com dis weeken? Are they the same? – dem a di same? Are you afraid? – yu fraid? Are you allergic to anything? – weh u allergic to? Are you American? – y’ah yankie? Are you busy? – yu busy? Are you comfortable? – yu comfatable? Are you coming this evening? – Y’ah com dis evenin? Are you free tonight? – Yu free t’inight? Are you going to attend their wedding? – y’ah gaw dem wedding? Are you going to help her? – Y’ah go help ar? Are you going to take a plane or train? Y’ah go tek di plane ar di chain? Are you here alone? – y’ah go deh by uself? Are you hungry? – yu hungry? Are you married? – yu marrid? Are you okay? – yu alright? Are you ready? – yu ready? Are you sick? – yu sick? Are you sure? – yu sure? Are you waiting for someone? – yu a wait fi summady? Are you working today? – yu wuk tiday? Are you working Tomorrow? – yu a wuk tomarrow? Are your children with you? – yu pickney dem deh wid u? At 3 o’clock – ah tree a clack. At 5th street – ah fif street. At what time did it happen? – ah wah time ih happen? At what time? – ah wah time? Can I access the Internet here? – mi cya’ get intanet yasso? Can I borrow some money? – mi cya’ barrow soo money? Can I bring my friend? – mi cya’ bring mi brejin? Can I have a glass of water please? – mi cya’ hav a glass a wata? Can I have a receipt please? – gimme di receipt nuh? Can I have the bill please? – gimme di bill nuh? Can I help you? – mi cya’ help yuh? Can I make an appointment for next Wednesday? – mi cya’ mek wah appointment if nex wensday? Can it be cheaper? – mek ih bi cheapa? Can we have a menu please – mek wih sih di menu nuh? Can we have some more bread please? – mek wih get more bread nuh? Can we sit over there? – mek wih siddun ova yasso? Can you carry this for me? – carry dis fimi nuh? Can you do me a favor? – do sumting fimi nuh? Can you fix this? – yu cya’ fix dis? Can you give me an example? – yu gimme wa’ example? Can you help me? – yu cya’ help me? Can you hold this for me? – yu cya’ hole dis fimmi? Can you please say that again? – yu cya’ seh dat again? Can you recommend a good restaurant? – yu cya’ tell me wah good restarant? Can you repeat that please? – seh data again nuh? Can you show me? – yu cya’ show me? Can you speak louder please? – talk louda nuh? Can you swim? – yu cya’ swim? Can you throw that away for me? – dash dis weh fimmi nuh? Can you translate this for me? – translate dis fimmi? Did you come with your family? – yu come wid yuh family? Did you get my email? – yu get mi email? Did you send me flowers? – yu sen mi flowas? Did you take your medicine? – yu tek yuh medicine? Do you believe that? – yu believe dat? Do you feel better? – yu feel betta? By now you’ve heard about Jamaican Patois. The language used by Jamaicans. 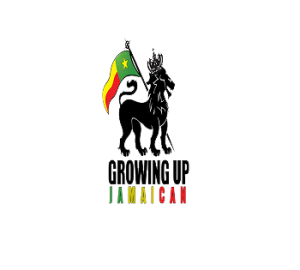 Jamaican Patois or “Patwa” is the language that is used by most Jamaicans in non-professional everyday conversation. It’s a strange language at that because it has so many loan words from many different languages and at the same type sounds similar to Jamaican English. The Language if it can be called that can be traced back to the way in which Jamaica got started as a country. Because of the diversity throughout history there have been many different people with different cultures being in Jamaica. The First People That was to influence Jamaican Patwa as we know it today would be the Arawak or the Taino Native Americans. These indigenous tribes were the peace loving People that were living in Jamaica and a few other Caribbean Islands before the arrival of the Europeans. There are a few words that they use that can be found in modern Day Jamaican Patwa. Then As time went on the Spanish came and made the Island of Jamaica their Colony and for a while all seemed well. They imported Africans and those Africans added to the production of the country. The Spanish added words to the Jamaican Patois language and so did the Africans. In fact the Africans had arguably the most influence on the language itself. The many different tribes that came here added a different word. For example the Jamaican Patois Word for eat which is nyam can be traced back to the African language called Wolof. The Spanish had the word pickney which is a small child. This can be traced back to the word pequeno which is small in Spanish. 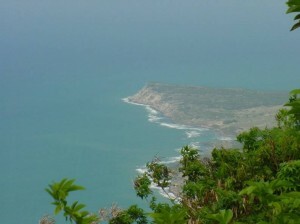 After the British conquered the island, They themselves brought their English language and with that, more influence on the Jamaican patois language. The British brought with them Irish indentured servants and that’s why sometimes people say that Jamaicans have an almost Irish way of speaking English. The British and the Irish started bringing over indentured servants after the slave trade stopped and so that is why you can find many Indians, chinese, Lebanese and even continental Europeans today in the country. Each of them brought their culture and mixed in with the local Jamaican culture and they each also brought their language and it was mixed into Jamaican patois. So whenever you hear Jamaican patois, either from a Jamaican on the street or through reggae or dancehall music. Try to find where the words they are saying originated from. I think you might be surprised! Please drop me a comment to tell me what you thought of this article. If You are Into Reggae Music like many people, one of your biggest complaints is that you simple CANNOT understand most of what the singers are saying. So I’ve decided to Talk about 6 Reggae Artists that you’ll love to listen to but you can actually understand them! Lets get started. He goes by the name Sizzla Kalonji and is quite a devout Rasta. His real name is Miguel Collins and he was born in Kingston. This man is one of the most adored Jamaican Rastafarian performers. He makes a lot of beautiful melodies and sings about a variety of social and economic issues. He’s a joy to behold. This is a sample of one of his more popular tracks. Let me know in the comments what you think! Most People would know Sean Paul. He’s one of the most popular Jamaicans in the world and also one of our best performers. He does a lot of collaborations with foreign Artists so his songs are usually in Jamaican English and also. You will find that you’ll love the one he sings and dances. Give him a try! This is the man! 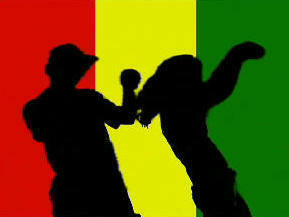 “JR” Gong. This is the man who is supposed to take over the reigns from his father as the Reggae superstar. Damian Marley has a few good tracks that are sung in Understandable Jamaican Patois . One of my favorite tracks of his is welcome to Jamrock which when it was released was quite popular in the world. You will not be disappointed when you listen to this wonderful musician! Sue Dem! Capleton is probably one of the most famous Rastafarians in Jamaica. He’s dramatically known as the “Fireman” because his concerts usually have a lot of effects involving fire. He’s one of the old style reggae singers that have not yet moved to the more “youth friendly” Dancehall Music. Capleton is not well known to most people who would listen to reggae music outside of Jamaica. You should check out his Video below and if you like him Find more of his music online. This is the man. Tuff Gong Robert Nesta Bob Marley. He’s one of a kind. A legend in the Reggae music space. He continues to live on today through his song and is one of the most magical people to have walked on this earth. He has many classics and if you’re here you probably know bob marley quite well. I cannot recommend him and his music enough and if you find something you like, You should post a comment about it! Last but certainly not least is JAH Cure. Another one of the proud Rasta Reggae singers He’s a different voice with his music. There is not much to say about Jah Cure i’ll let his music do the talking for him. Let me know what you think. There you have it. 6 Jamaican Performers and a few songs you’ll be able to understand. Be sure to like, this post and drop a comment to let me know what you thought about it. There are many things you could potentially do while you’re in Jamaica. I’ve come up with just 7 things though that I think you’d like when you go there. 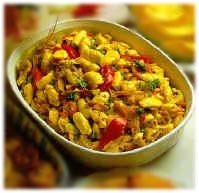 This is the national Dish of Jamaica. It is made by Cooking The Fruit from the Ackee Tree. You first cook this to make it pure then you make it with Salt Fish (Salted Cod). This is a Delicious Meal that can be had with cooked bananas for breakfast, Or Even eaten with Rice Or Fried Dumplings. It is something that you must taste if you visit Jamaica. 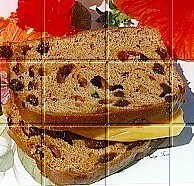 Spiced Bun With Cheese. Known Affectionately As “Bun n Cheese”. This meal is usually Had During the easter holidays and simply consists of the Soft & Juicy Spiced Bun with New Zealand or Jamaican Made Cheese. Even if you Do not go there for Easter you should consider getting this to eat! This is probably the most popular Thing to have for Jamaicans. Rice With Kidney Beans. Also known to Jamaicans as Rice n Peas. This delicious meal is made from Rice with coconut Milk and The red kidney beans. You’ll love it. Bammy is one of those old school Jamaican meals. 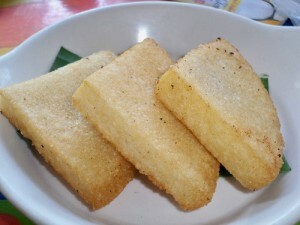 It is made from Cassava. Its something that you should try while you’re there. You will love it. Jamaicans especially like to eat their Bammy with fried fish! This is one of the most popular Jamaican Export. 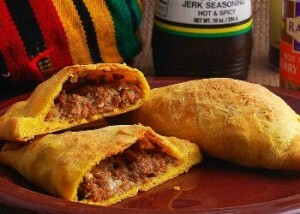 The beef patty is quite popular in Jamaica as lunch and is usually had with orange Juice. This is one of the most delicious things you’ll ever taste. When People think of Jamaica they see bob marley, Reggae music and JERK CHICKEN. This is one of the most tasty ways you can cook chicken. 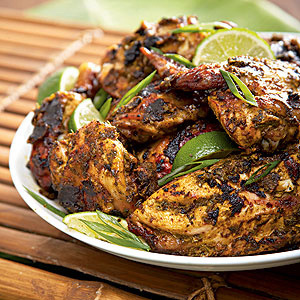 It is basically grilled chicken over a nice home made grill with the perfect blend of herbs and spices to make your taste buds go WOW. Being in Jamaica, You’ll hear a lot of new wonderful Reggae Music that you’ve never heard before. As you know this is the most popular export of Jamaica. 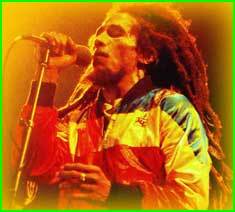 Bob Marley may be the most popular Jamaican Reggae musician there are many more Jamaicans Singing in the native Patwa and even the more understandable “Jamaican English”. When you’re here you must prepare for the amazing artistes that you’ll listen to. If you like dancing then this is the kind of music for you. This music is like reggae but fast paced and made for dancing. It is the modern version of Bob Marley’s type of singing. You will enjoy this one. This is the most common language you’ll hear when you are in Jamaica. It is spoken by the locals and its a combination of many african languages, Native indian languages and even English languages. If you’re going to jamaica then you should probably look on the section where the talk about jamaican patois to english translations. 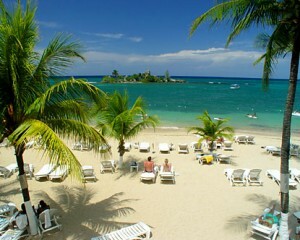 7 Mile beach is one of the most beautiful and most popular beaches in Jamaica. I don’t think i need to say anymore when i’m talking about it. The picture speaks for itself right? Leave a comment and let me know what you think. 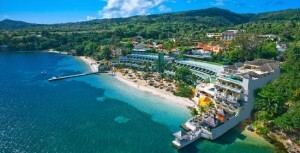 Then there is Ocho Rios This is place is just as beautiful. 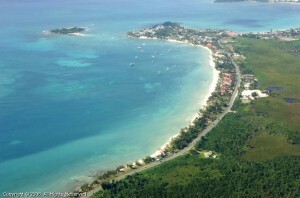 It has many attractions including the famed Dunns River Falls. The natural beauty is sure to stun anyone and Once you are there you will see what i mean. Kingston is the capital and it is one of the most beautiful places to see but it is one of the lesser known places by tourists. When you go there you’ll know. 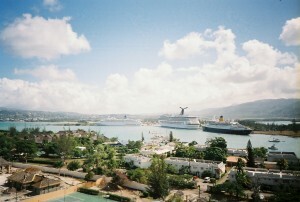 Montego bay has the 2nd major airport in Jamaica (After the airport in kingston). This is the place to go if you want to enjoy beaches and nature but at the same time you want to shop in style. 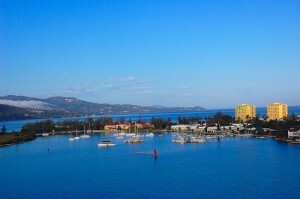 Montego bay will be a place, you never forget. 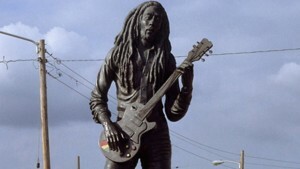 This is the statue of Bob Marley Located in Kingston. While there are many of them to be seen all over Jamaica. It may be worth your wild to go there and visit the museum and see it all in person. Lovers Leap is one of St Elizabeths most prized attractions. Just look at the view. I would sit here and tell you the back story of why this place is called lovers leap but i will show you why here. The People are warm and friendly and ever so nice. You will never have a problem getting around because asking people will always yield a warm smile and they will be happy to help. You will find people selling things, people swimming, dancing, singing. You will get to meet with a lot of interesting people and i’m sure you’ll like it. My personal favorite is Montego Bay. It is just a beautiful sight to be seen when you go there. Just look at that picture. Wow amazing isnt it? 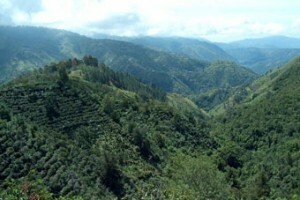 The last is the blue mountains where the famed blue mountain coffee comes from. There is not much to be said about it. These are a few things and a few words about them. I would appreciate a comment of what you thought or if you went to Jamaica what experience was your favorite.